FABRIC: 100% Silk. LINING: 100% Satin. 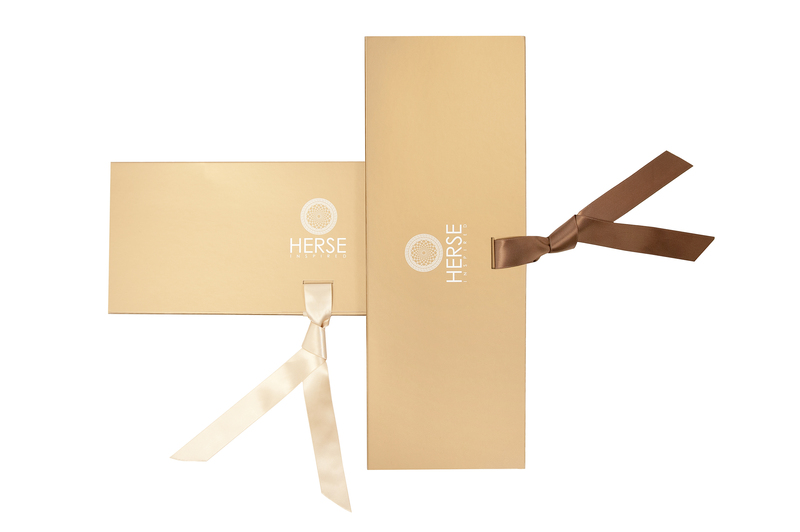 HERSE is a luxury artwear label, they make kimonos and scarves out of 100% highest-quality silk. Every HERSE design is produced in limited numbers, and has a Unique Authenticity Code number. So ,when you buy any Herse item, you immediately become an art collector. After 8 years of experience in Advertising, she decided to follow her passion and launched HERSE, a combination of Art, Graphic Design and Fashion. She is inspired by very art movement, and her work seeks to make art a part of everyday life. She creates bold, patterned colourful designs to elicit happiness from all those that wear her designs. HERSE the label is steeped in history and art. In Greek mythology, Herse is the daughter of Zeus and the moon, Selena. According to Ovid, the god Hermes falls in love with her.